Up until about a year ago I had never made any bread at all before. I finally decided I wanted to give it a try after seeing how much even a small loaf of bread can be at the local markets and figured I needed to try it out just to see if I could save some money and have fresh bread. Turns out it was a lot easier than I always though it would be and I make all kinds of breads now. Some of the recipes take a day or more to do because you need to make a starter while others can be done in a few hours. Then there are those that you do all in a stand mixer and others need some kind of kneading by hand. I have also found a number of recipes, including this one from Cook’s Country, that require practically no kneading at all and produce a great crunchy loaf of bread that is perfect for any meal, sandwich, soup, toast or just to snack on. This one requires about a day in advance, but it is well worth the wait. Whisk the flour, salt, and yeast together in a large bowl. Add the water, lager and the vinegar. Using a rubber spatula, fold the mixture, scraping up the dry flour from the bottom of the bowl, until a shaggy bowl forms. Cover the bowl with plastic wrap and allow it to sit at room temperature for at least 8 hours or up to 18 hours. Lay an 18-inch by 12-inch sheet of parchment paper on the counter and spray it with the vegetable oil spray. Transfer the dough to a lightly floured work surface and knead the dough 10 to 15 times. Shape the dough into a ball by pulling the edges of the dough into the middle. Transfer the dough, seam side down, to the center of the oiled parchment paper and spray the surface of the dough with the vegetable oil spray. Pick up the dough by lifting the parchment paper overhang and lower it into a heavy-bottomed Dutch oven. Let any excess parchment paper hang out over the edge of the pot. Cover the pot loosely with plastic wrap and allow the dough to rise at room temperature until it has doubled in size and does not readily spring back when poked with a finger, about 2 hours. Adjust an oven rack to the middle position. Remove the plastic wrap from the pot. Lightly flour the top of the dough and using a sharp knife or a razor blade, make one 6-inch long, 1/2-inch deep slit along the top of the dough. Cover the pot and place it in the oven. Heat the oven to 425 degrees. Bake the bread for 30 minutes. Remove the lid from the pot and continue to bake the bread until the loaf is a deep brown and registers 210 degrees on an instant-read thermometer inserted into the bread, about 20 to 30 minutes longer. Using the parchment paper overhang, carefully remove the bread from the pot. Transfer the loaf to a wire rack and allow it to cool completely, about 2 hours. A couple of things about this recipe. First, Cook’s Country recommends using a mild-flavored lager like Budweiser, which I never have in the house and do not like. I used a Samuel Adams Boston Lager and I think the bread came out great.The beer and the vinegar basically act as the fermented starter that is used in many breads and you can easily use your own starter if you have one already. you also want to make sure to put the bread into the cold oven in this recipe and start your 30 minute timer right then, not waiting until the oven preheats. This will help prevent the bread from burning. I have to say that this was one of the best bread recipes I have ever made. It makes a large, sizable loaf that I used when I made our filet mignon dinner. The bread was wiped out and we had none leftover, which is great and I think this particular bread is probably best eaten the same day anyway, though Cook’s Country says it will keep when stored in foil for about 2 days. 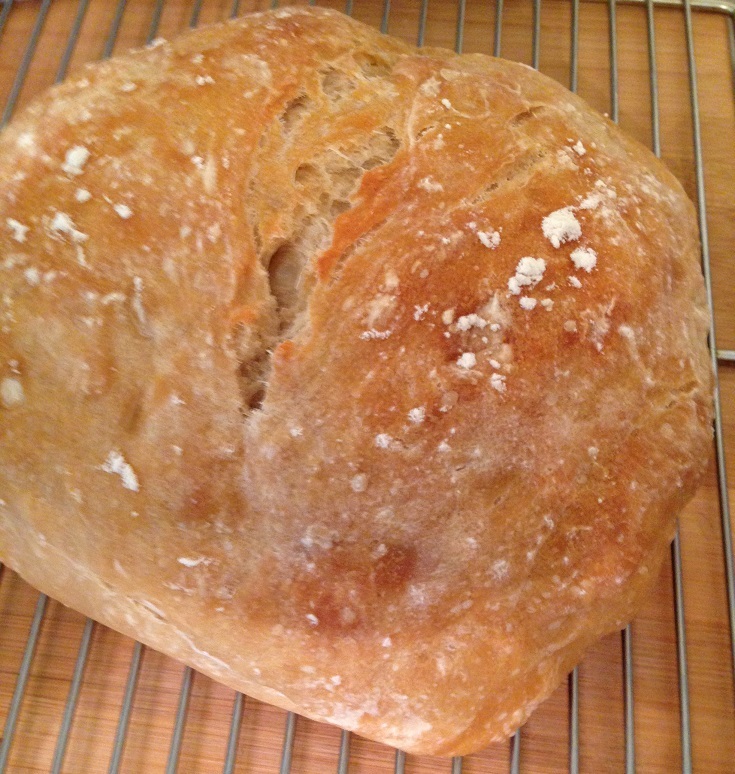 in any case, this is definitely a bread recipe I will turn to again as everyone liked the crunch, texture and flavor. Very often for me Monday is the toughest day of the week when it comes to cooking dinner. I do a lot of cooking on the weekends and many times Monday is just a leftover day, using whatever we have from the weekend to put something together. Sometimes you want something a little different though and you want to put something together without having to go through a ton of effort to put dinner on the table. Luckily for me, the latest issue of Cook;s Country magazine came in the mail just recently and they always have some great ideas for quick and easy weeknight meals that are full of flavor. 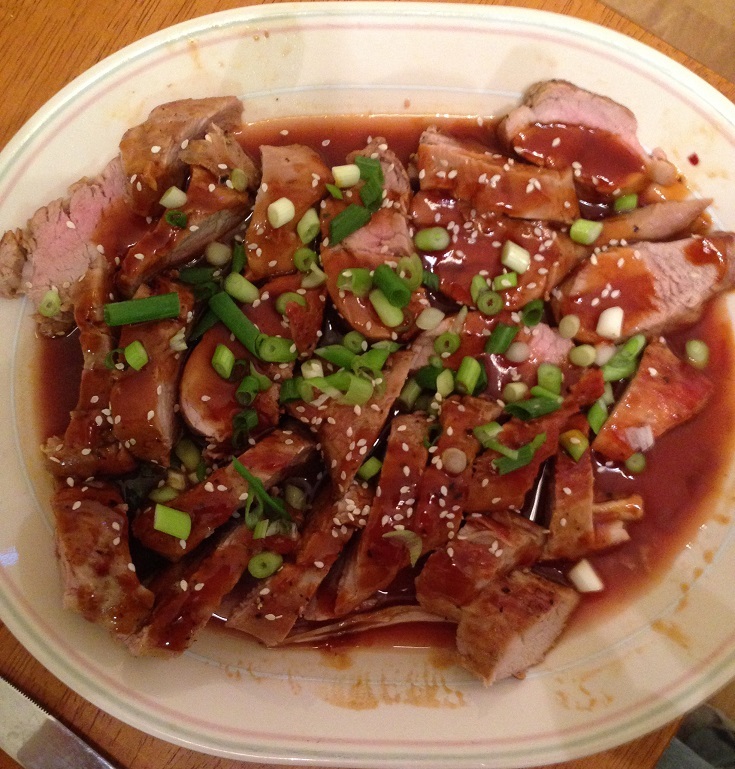 I had actually just picked up some pork tenderloins that were on sale recently when I came upon this recipe for a hoisin-glazed pork tenderloin that would give you great flavor without having to marinade the meat for hours. Pound the pork tenderloins between two sheets of plastic wrap so that they are an even 1-inch in thickness. Pat the tenderloins dry with paper towels and then season them well with salt and pepper. Whisk the chicken broth, hoisin sauce, brown sugar, ketchup and soy sauce together in a medium bowl. Heat the vegetable oil in a large nonstick skillet set over medium heat until the oil is shimmering. Cook the pork tenderloins until they are well browned on both sides and the meat registers 140 degrees on an instant read thermometer inserted into the tenderloins, about 7 to 9 minutes per side. Add the hoisin mixture to the skillet over the tenderloins and simmer the mixture until it is slightly thickened, about 3 to 5 minutes, making sure to turn the tenderloins to coat them in the glaze. Remove the skillet from the heat and let the pork rest in the sauce for 5 minutes, then slice the tenderloins into 1/2-inch thick slices. Serve the tenderloins, drizzled with the hoisin glaze from the skillet and sprinkled with the scallions and toasted sesame seeds. You get a really great glaze from the hoisin sauce, soy sauce, sugar and ketchup and the chicken broth helps from it getting too thick. I really liked the flavor of it and it gives the whole meal a great Asian-style flair to it, making this perfect to serve with some rice and maybe some quickly sautéed vegetables or just some steamed broccoli or cauliflower. You can put the whole meal together in about 20 minutes and have everything done very easily. If there are any leftovers you can always dice up the pork tenderloin, take some of the leftover rice and make yourself a simple and quick fried rice that is great for lunch or as a side dish for another meal later in the week. 27 Boneless Skinless Chicken Breast Recipes – Bon Appétit. Boneless, skinless chicken breasts are a staple in just about every home as part of a weekly meal. The problem is that they can get rather boring if you simply bake or saute them time after time and they may not have a lot of flavor to them. That’s why you can try to jazz things up a little bit so that you can have tasty, flavorful and not overcooked chicken each time you make it. Bon Appetit has put together 27 boneless, skinless chicken breast recipes that can give you all kinds of great ideas for weeknight meals or weekends. Check it out! Friday and Saturday nights all over seem to be the nights that people really go for takeout, at least in my neck of the woods. I think most people do not feel like cooking when it comes to the weekend after a long week of work, school, afterschool activities, chores and everything else you need to take care of on a daily basis. While simply calling the local pizza place or Chinese takeout is a great option that everyone turns to now and then, you can make some of your favorite takeout items right at home without spending a lot of time or money and they will taste even better than what you are paying for at a restaurant. One of my personal takeout favorites has always been General Tso’s chicken at the local Chinese restaurant here. You get the combination of a sweet and spicy glaze and sauce coating breaded chicken that tastes amazing and you would never think it is something you could duplicate at home – but you can quite easily. I found this recipe from Saveur for General Tso’s chicken that is easy to make and tastes just as good if not better than what comes in those little white containers. Whisk the chicken stock, 1 tablespoon of the cornstarch, the rice vinegar, tomato paste, 3 tablespoons of the light soy sauce, 1 teaspoon of the dark soy sauce and 3 tablespoons of water in a bowl; set the sauce aside. Place the remaining cornstarch and both of the remaining soy sauces, the chicken pieces, 3 tablespoons of the oil and the egg yolks in a large bowl and toss them together. Pour 3 1/2 cups of the oil into a large skillet, flat-bottomed wok or Dutch oven. Heat the over medium-high heat until a deep-fry thermometer registers 375 degrees. Working in batches, add the chicken pieces, tossing them occasionally, until they are cooked through, about 4 to 5 minutes. Using a slotted spoon, transfer the chicken to paper towels to drain and set them aside. Repeat the process until all of the chicken is cooked. Discard the oil in the pan and wipe the pan clean. Return the pan to high heat and add the remaining oil. Add the ginger, garlic and the chiles; fry, stirring constantly, until the mixture is fragrant and the chiles begin to change color, about 30 seconds. Add the reserved sauce; cook until the sauce is slightly reduced, about 5 minutes. Add the chicken and fry, tossing constantly, until the chicken pieces are evenly coated with the sauce, about 2 to 3 minutes. Remove the chicken from the heat and stir in the sesame oil. Transfer the chicken to a serving plate and top with the sliced scallions. I have to say that the sauce was spot on as far as taste and texture. It was just like what you get with your takeout order, even though instead of chile de arbol, which I did not have on hand and rarely see around here, I used some Thai garlic chili sauce instead. I think you would get a more authentic flavor with the chile de arbol if you use them, but this was pretty close. The only difference I made from the recipe other than that was that I was using breaded chicken thigh pieces that I had left over from a meal earlier in the week so it was a bit of a cheat for me but I think it worked well. The difference with leftovers was that the coating of the chicken did not go all the way around the chicken pieces as it would if you followed this recipe exactly, but it was still good. 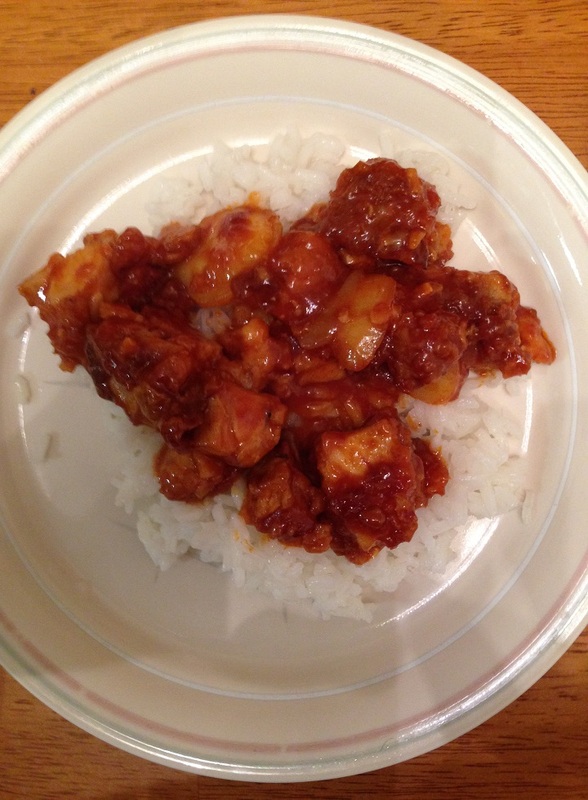 Serve this with some white rice or fried rice and you have a great takeout meal all of your own. Cooking Techniques Video Channel – NYTimes.com. If you are interested in perfecting some particular cooking techniques or are just looking to learn just what some of these techniques are all about, check out the videos available on the New York Times website to see some of the cooking techniques to help you learn how to do a few things better in the kitchen. While you’re there, check out the New York Times Cooking website for all kinds of great recipes that you can try! Today is the first day of Fall and the look and feel around our area of New York certainly indicates that much. The weather is cool and crisp, the leaves are starting to turn and thoughts turn to fall and autumn fruits, vegetables and meals around here. Sure, that means soups, stews and the like but it can also mean fall entertaining with some elegant but easy meals that you can put together when you have friends and family over. 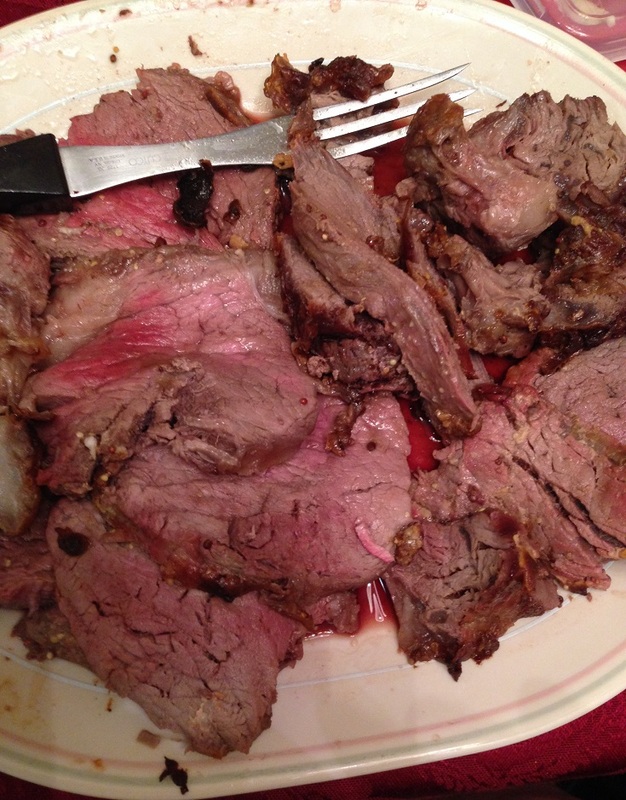 We had just such a dinner this past weekend and I decided to make a filet mignon roast. It’s not something we have very often because of the price but it is a nice treat when you are having a larger party over. This recipe from Food Network is the perfect answer for your meal with a tender filet mignon roast along with some of your favorite roasted winter vegetables. Preheat the oven to 425 degrees. For the vegetables, add all of the vegetables, the garlic, the olive oil, the rosemary, the salt and the pepper, to taste, in single layers on 2 rimmed baking sheets. Toss the vegetables until they are well coated with the olive oil. 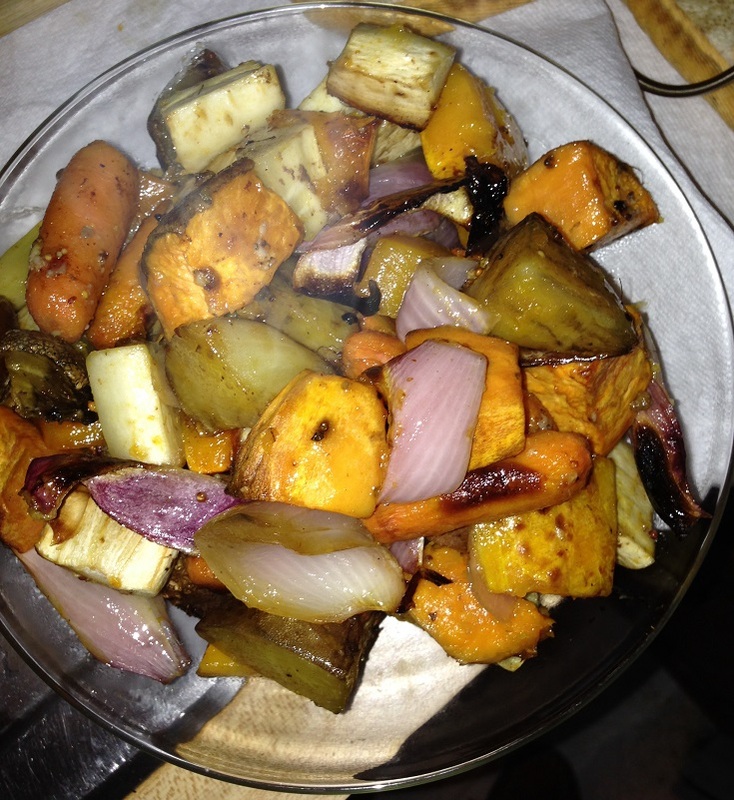 Roast the vegetables until they are golden brown and tender, about 45 minutes to 1 hour. Cover and keep warm until you are serving. For the roast, preheat the oven to 500 degrees. Combine the olive oil, minced garlic, mustard, rosemary and pepper in a small bowl until they are blended. Coat the tenderloin all over with the mustard mixture. 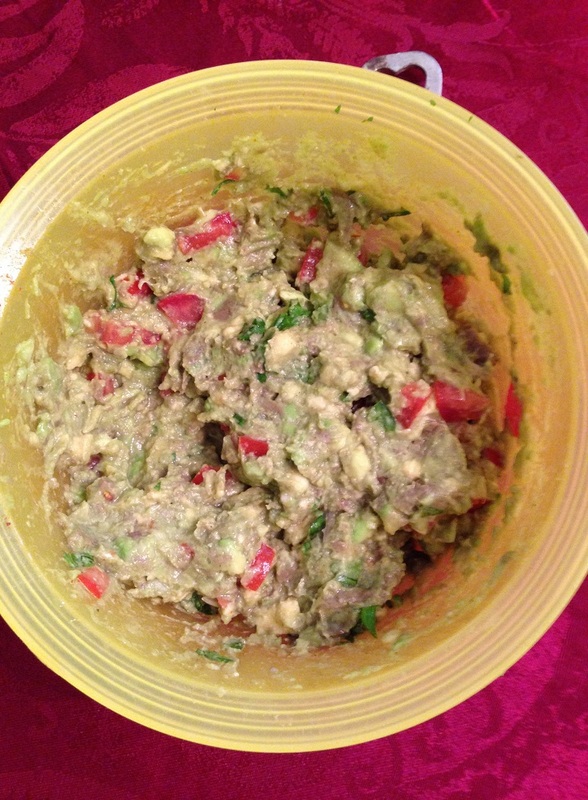 This can be done the day before and left in the refrigerator overnight if you like. Just before roasting, season the tenderloin generously with kosher salt, to taste. Set the tenderloin in a large roasting pan and place it in the center of the oven on the middle rack. Roast the tenderloin until an instant-read thermometer inserted into the tenderloin registers 135 degrees, about 20 to 25 minutes. Remove the roast from the oven to a cutting board and tent it with aluminum foil. Allow the tenderloin to rest for 10 minutes before slicing. Arrange the slices on a platter and serve alongside the warmed roasted vegetables. It is a simple dish that looks great, smells great and tastes awesome. The meat was done just perfectly so that it was medium-rare to medium throughout and the vegetables were nicely browned and tender and full of flavor. Of course, you can always add whatever vegetables you like best to the dish besides what is in the recipe, like mushrooms, fingerling potatoes, acorn squash, Brussels sprouts or whatever happens to look good at the grocery store when you are shopping. I used golden beets in mine because I liked the look and the flavor but any beets you like will work here. Everyone really enjoyed it and it was a great night with some good food.